The women Halloween costumes in this collection all won prizes at local costume contests. They will all serve as great inspiration on your quest for a perfect costume to make and also one that has potential to win a prize at Halloween costume contests you’ll be attending. Christina was originally planning to make a Maitlands couple costume, but after she and her boyfriend got all the foam insulation, they understood that there wasn’t enough time. 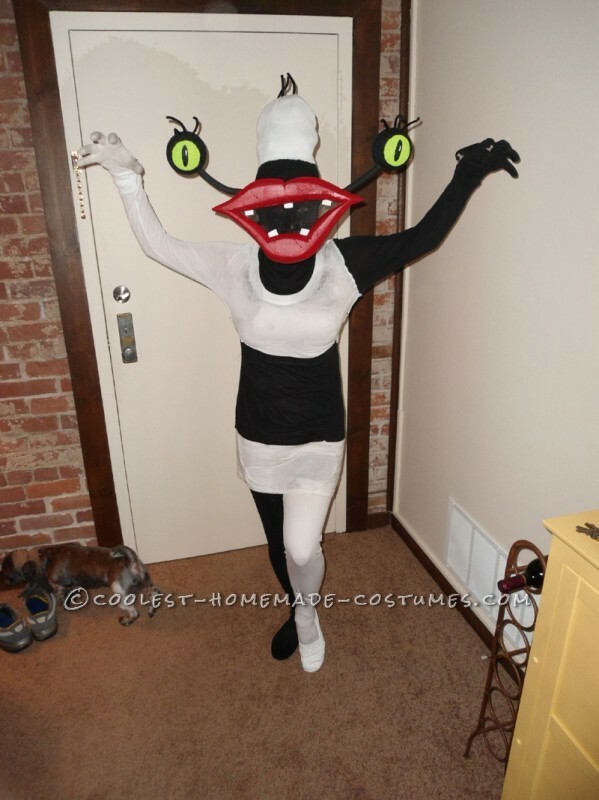 And thus the great idea of Oblina was born and the foam insulation was used for the meticulously crafted lips. Christina won the costume contest at their party and went home with a big ego (and big foam lips). 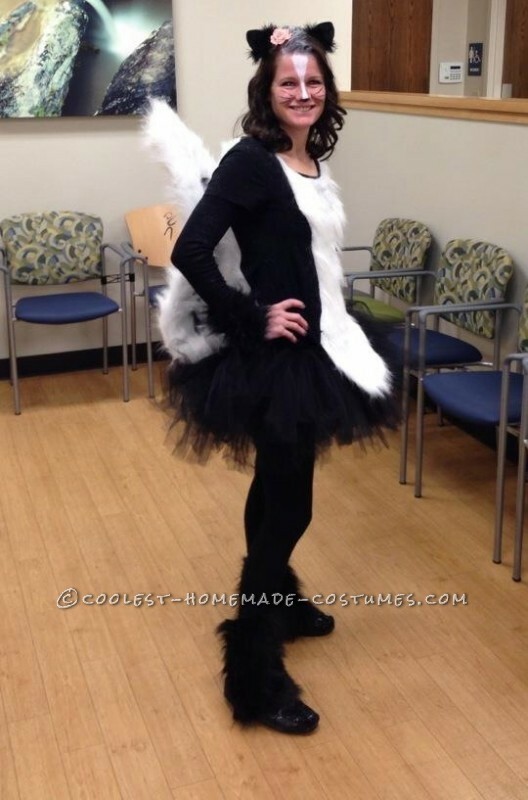 Women Halloween costumes are challenging, and the most challenging part of this Skunk costume was making the tail. Andrea molded it from coat hangers and duct tape. She won the costume contest at work and enjoyed most the kids reactions when they saw her. Jason set a goal to lose 80lbs and when she achieved it she would be Wonder Woman for Halloween. She achieved her weight-loss goal, but when she started looking for a costume they were all too expensive. 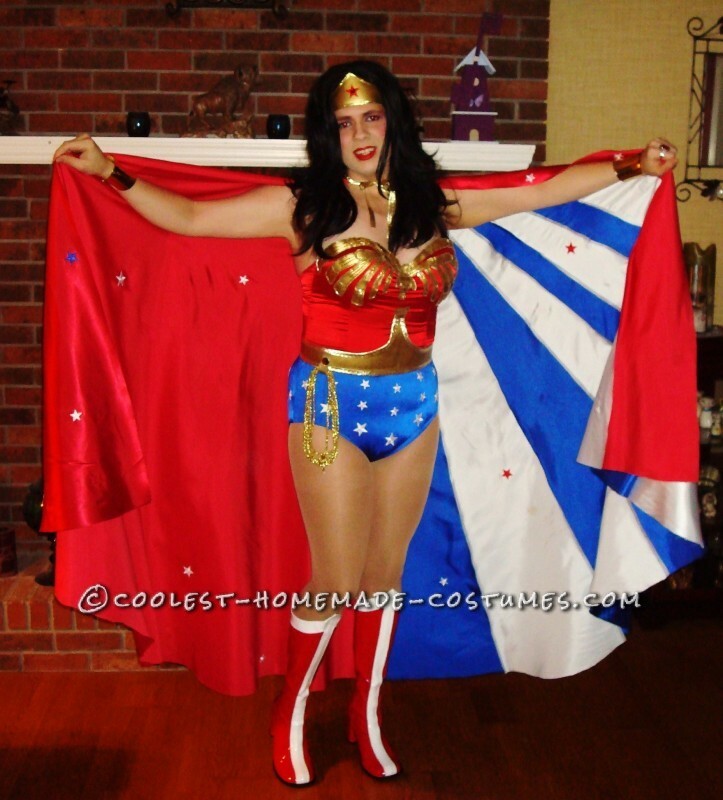 “So”, she thought to herself, “If I can lose so much weight, I can for sure make an awesome Wonder Woman costume.” And that’s exactly what she did, and also ended up winning two different costume contests. The night before Halloween, Frankie didn’t have an idea (and that’s exactly when the best costume ideas just seem to pop up). She looked around the house for things she could dress up as and also make in five minutes. As she looked in the cupboard, the Morton Salt almost jumped out at her. Frankie won the “Most Creative Costume” prize at school. Alongside his movies, Tim Burton also wrote poetry and this costume was inspired by one of his obscure poems. The most time-consuming part of this Tim Burtons costume is the head which was paper mached. 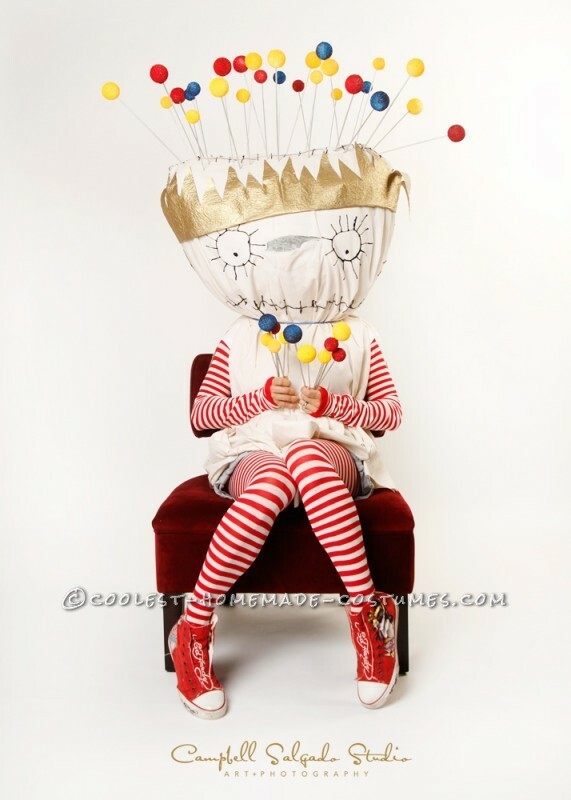 Susan from the United States made the pins out of wooden skewers and painted Styrofoam balls. 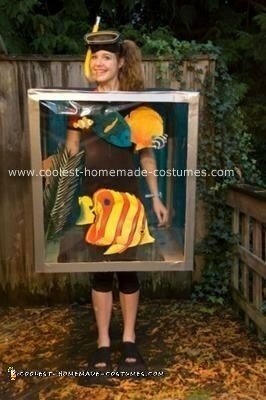 This neat Aquarium costume is made out of a box, transparent blue cellophane and some paper fish. Laura cleverly accented the costume with a snorkel and goggles and a pair of flippers (which can be quite dangerous to walk in as Laura learned the hard way). 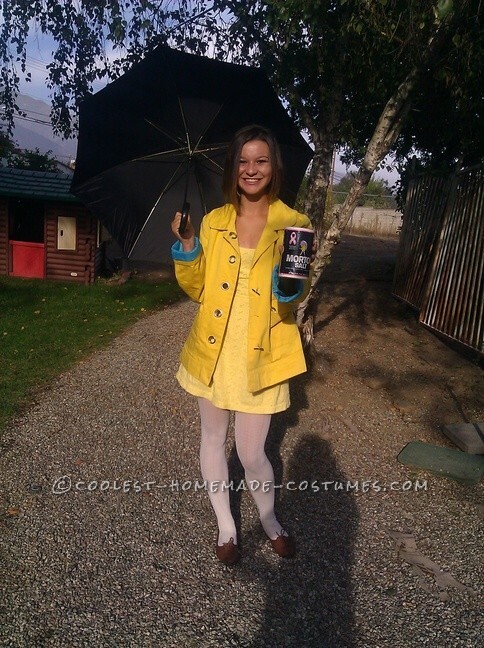 Most often you need to search for costume ideas, but sometimes a costume idea just finds you. People constantly call Marcia – Marsha, and after browsing through this site, the idea to dress up as Marsha Brady just dawned upon her. And once the idea was found, the costume was read in just a few hours and for less than $20 total. 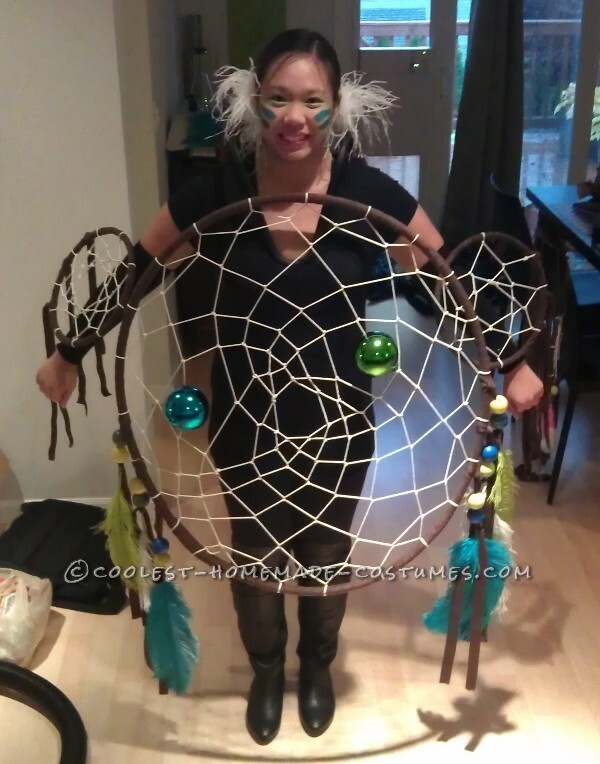 This Dreamcatcher costume was created completely from scratch and won most creative costume at a local costume contest. 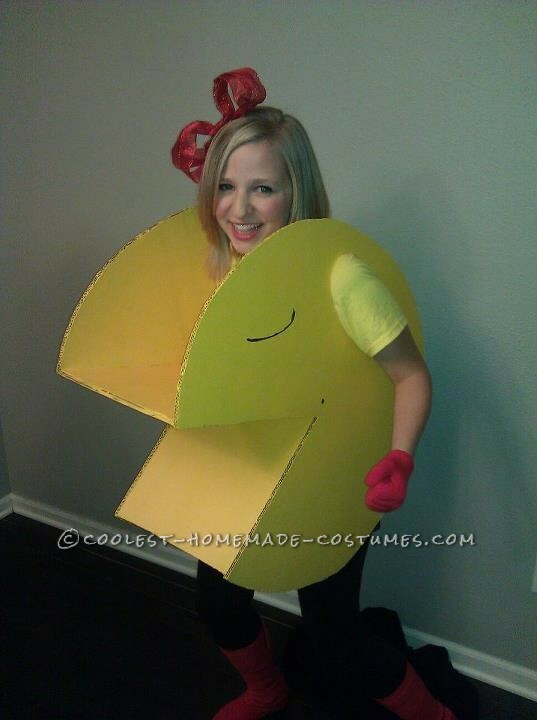 Once Marcia had the idea of becoming Ms. Pacman, the rest was pretty easy to make. She won the costume contest, beating some gruesome-looking zombies and an Angry Bird. And months after the party, friends still called her “Ms. Pacman”. Nicole was set on winning her High School’s costume contest. 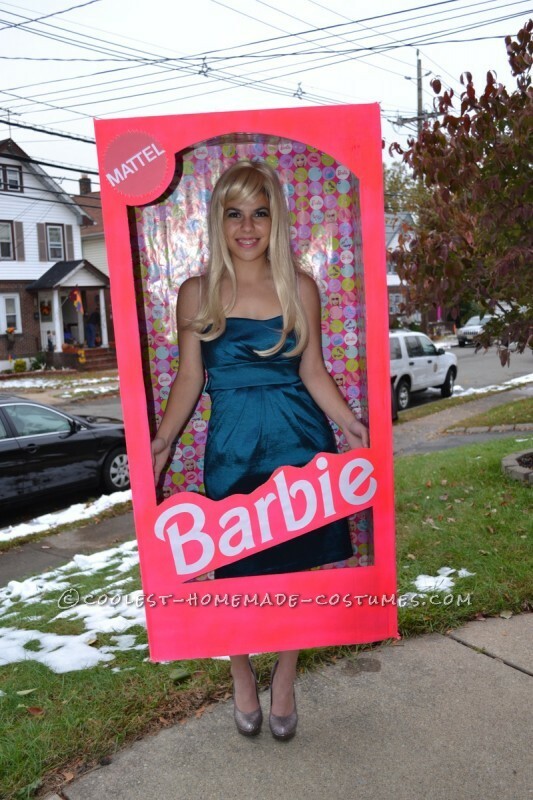 She put turned herself into Barbie-in-a-box using items found around the house and got some great reactions… and won the schools’ contest. 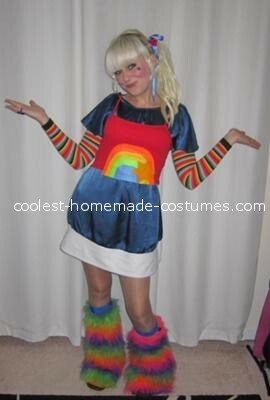 After searching for a ready-made Rainbow Brite costume and seeing how expensive and “tacky-looking” the Rainbow Brite women Halloween costumes were, Beth decided to make her own version. It all cost her less than $20 and was a big hit, winning her the best costume prize a the costume party. 12. Homemade Sheep Costume for Under $20! This sheep costume is also an inexpensive costume to make and got Nicole some good laughs.